A steady week in the Middle East Gulf saw rates hovering between WS 55.75 and 56.25 for 270,000mt to China. 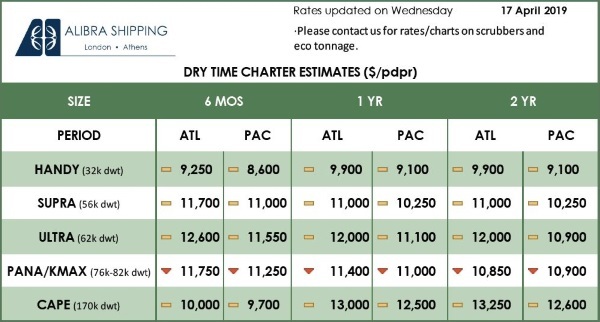 Going west, rates for 280,000mt to the US Gulf held at WS 24.75 basis Cape to Cape. With healthy activity in the US Gulf/Caribbean area supporting other markets, rates to China held around $7.4 million. West Africa recovered modestly, with 260,000mt to China last fixed at WS 57.5, up 3.75 points from the end of last week. Hound Point to South Korea went at $6.2 and subsequently $6.3 million. West Africa eased from low WS 90s to WS 80 for 130,000mt to UK-Continent. 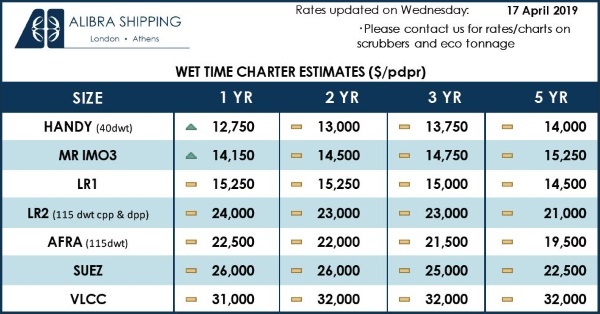 Despite there still being Turkish Straits delays of around 30 days north and southbound, Black Sea/Mediterranean rates for 135,000mt fell almost 25 points to WS 107.5, with South Korea at $4.05 million and Singapore paying $3.4 million. Rates for 80,000mt from Ceyhan lost 30 points to WS 127.5, with the Black Sea dropping over 45 points to WS 125. In the Baltic, after a brief rally taking rates to WS 97.5/100, the market eased back to WS 90 for 100,000mt, with options cargoes paying WS 92.5. Cross North Sea for 80,000mt was steady at close to WS 110. Caribbean rates for 70,000mt from Venezuela to the US Gulf were unchanged at WS 150. Rates for 75,000mt Middle East Gulf/Japan nudged up 2.5 to WS 130, with 55,000mt steady at WS 150. Rates for 37,000mt Continent/USAC eased 15 points to WS 125. The 38,000mt backhaul trade from the US Gulf fell 20 points to WS 92.25.